What does a tech-savvy kid want for Christmas? Last week we looked at the Dream Toys list, compiled by toy companies based on what they think kids will want this Christmas. So what do you buy for the tech-savvy kid who just wants to be left to blog in peace? What are the latest gadgets and tech toys to make your Christmas stocking sparkle? First of all, Electronic Pets – These have been around for a few years now, and they just keep getting more sophisticated. The pet that you don’t have to pooper scoop, Teksta the Robotic Puppy has over 100 different functions, but we prefer the simpler style of Robo Fish for sheer cuteness value. Music Angel Friendz (pictured above) – The best portable speaker for mobile devices we’ve tried. Terrific sound, and the tunes keep playing for a whopping 100 hours without recharging. A couple of these would make a good gift for siblings because you can stack them together to increase the volume. Comes with a travel pouch and USB charger, and there’s a cool blue light underneath each speaker which lights up when it’s working. Priced around £30 each, a great gift for a teen or anyone who loves music. 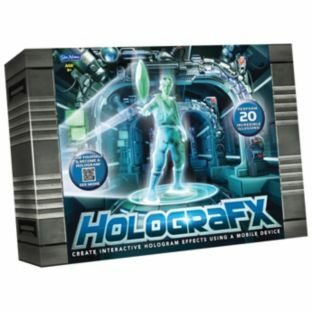 HolograFX – This is basically a modern-day magic show, which kids can use to create amazing holographic effects to impress their family on Christmas Day. You have to download the accompanying app, and your smartphone then becomes part of the show. We’ve been playing with HolograFX at KBC HQ, and we found that although it looks a bit daunting to put together (when you open the box there are LOTS of bits and bobs to sort out), once you download the app and follow its instructions then the rest of it becomes clear. Suitable for age 8+, RRP £34.99, currently with £5 off at Argos. Are you hoping for a new phone this Christmas? Several kid bloggers reviewed the Huawei Ascend earlier in the year and declared it a great bargain smartphone for teens. 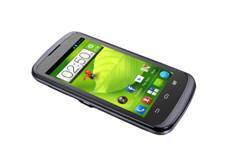 We also like the look of the ZTE Blade V, a new entry level budget android phone available from around £72. 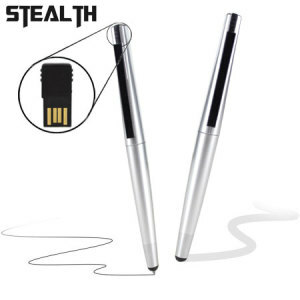 Stealth Stylus Memory Pen – This is the sort of gadget that it’s cool to take to school. The Silver Stealth Stylus Memory Pen from MobileFun has a concealed 4GB memory card as well as an omnidirectional tip which works with touchscreens. So you can use it like an ordinary pen, use the memory card to store your work and use the pointer tip on any tablet or screen work. Pretty nifty, and a great bargain at only £14.99 (but looks like it cost a lot more). Or what about a new tablet for Christmas? Tesco’s Hudl is getting good reviews, whilst Acer have a range of affordable tablets starting at around £100. Or if you want a larger screen, check out this tablet from Hannspree which is larger than an iPad but still under £200. And if you prefer typing on a keyboard rather than a screen, this tablet from GoClever includes a keyboard and case, for only £90. A great option for homework. If you already have an iPad, take a look at Safegrip to help prevent your precious gadget getting damaged. We absolutely love the look of LEGO Mindstorms robot, but at around £300 it may be out of many people’s price range. 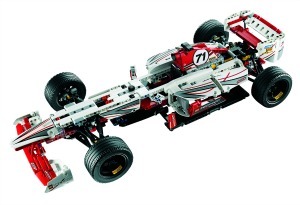 For a more affordable option for LEGO fans with a technical mindset, check out the Technic range, which starts from £10. And if you like a bigger project, how about building this Grand Prix racer? And finally, Minecraft merchandise is hot hot hot this Christmas – Father Christmas needs to get mining and make a few more! Our favourite is this plush Minecraft baby pig. Who says tech toys can’t be cute and cuddly too? Have you been naughty or nice? What’s on your list for Santa?